With more than 200 sovereign countries (most of which have subdivisions such as states, provinces, oblasts, etc.) and an estimated two million cities and towns, the world is full of flags. A lot of them are wonderfully designed and even more are just plain bad. However, not all flags fall neatly on this spectrum. To put it plainly, there are a lot of flags that aren’t necessarily good or bad; they are just bizarre. This is the third in an ongoing series where we examine some of the world’s weirdest flags. Be sure to check out part 1 and part 2! Sochi came to national prominence in 2014 when it hosted the XXII Olympic Winter Games. But long before that, Russians have known Sochi as the country’s largest resort town. It is one of the few cities in Russia with a subtropical climate (explaining the sun and palm tree) and a short drive away from the Caucus Mountains (explaining the mountains and what might be snow). I’m not exactly sure what the deal is with the melting torch, though. 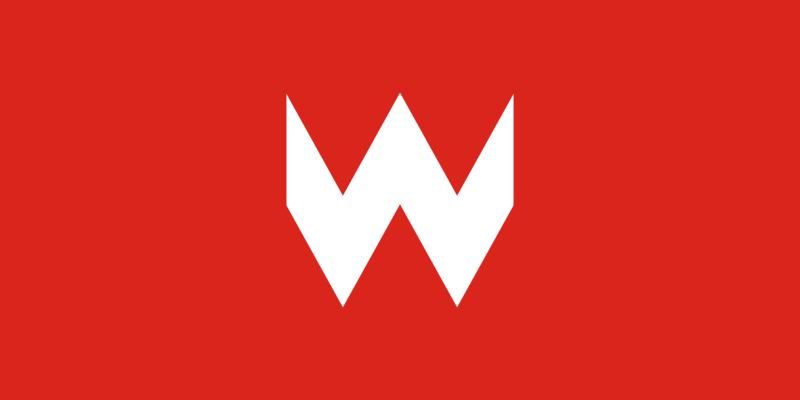 This flag is believed to have come from either the coat of arms of the former owner of the city or the Polish name for the city (Wetka). But all I see is Wario. The North Caucasian Emirate was a Chechen Islamic state that existed for less than a year (September 1919 – March 1920) during the Russian Civil War. 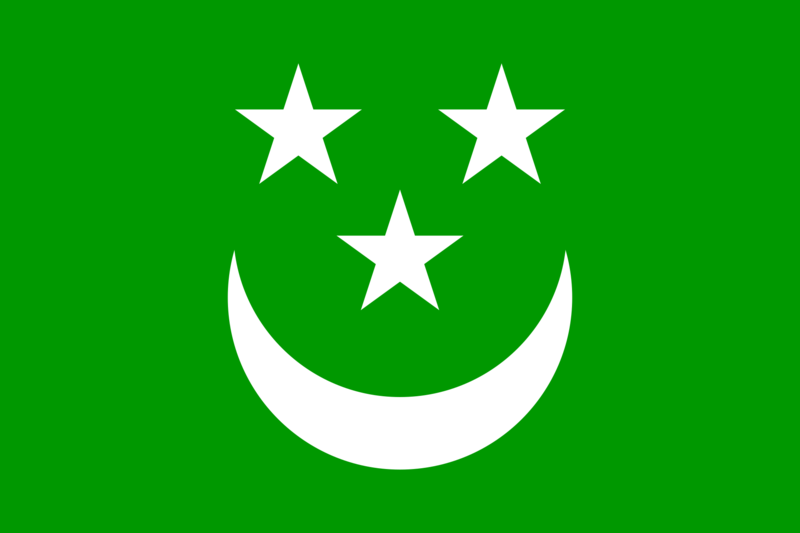 Islamic flags commonly feature a green field, crescent moon, and stars, but rarely do they feature a smiley face. 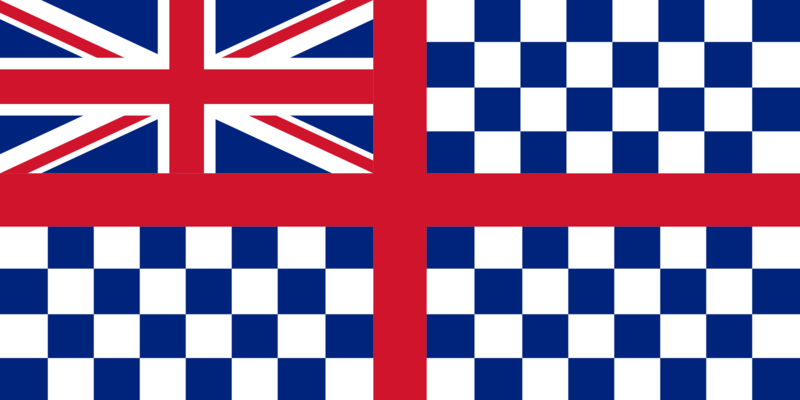 This flag flew over Guernsey during the 19th century. It no longer does because it gave everyone seizures (that’s my best guess). 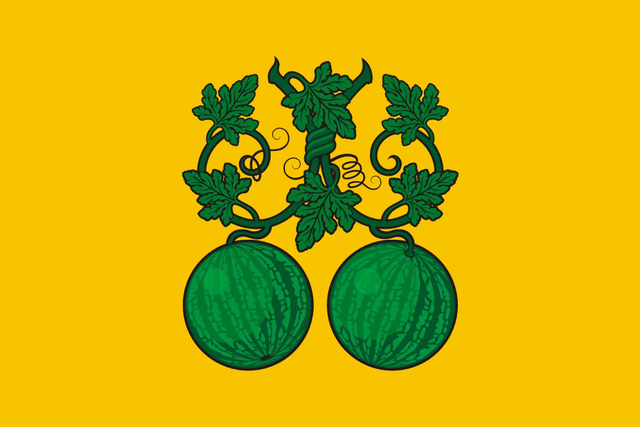 The flag of this northern Norwegian municipality (and its identical coat of arms) was approved in 1987. The three salmon represent three forms of fishing: a traditional way of living and income, more modern fish farming, and recreational fishing. 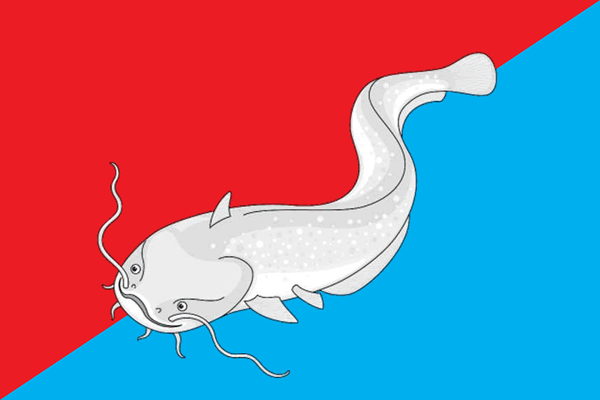 It’s actually not a bad looking flag, but it’s still three fish on a flag. 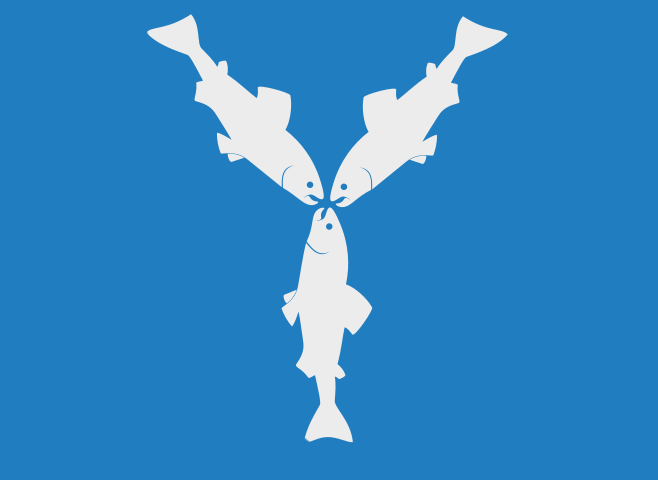 While the Kvalsund flag is a friendly fish flag, the Somovskoe flag looks like its evil brother. Look at its face… It looks like it’s plotting murder. 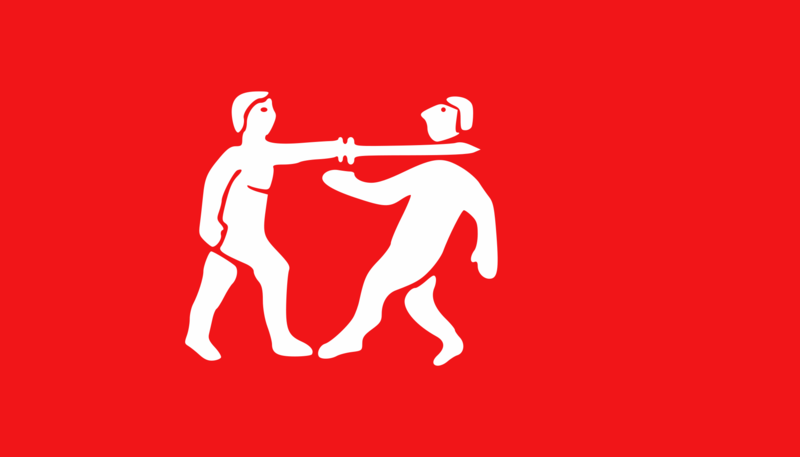 This flag was first discovered in 1897 by British Admiral F. W. Kennedy in an expedition to the Benin Empire. Little is known about it, but recent studies have confirmed that it was a real African flag used somewhere within or near the Benin Empire. The National Maritime Museum in Greenwich, which current has the only known version of the flag, believes it belonged to Itsekri, allies of the Benin. Regardless of any of this, the flag is someone being beheaded. That is all that matters to make this list. 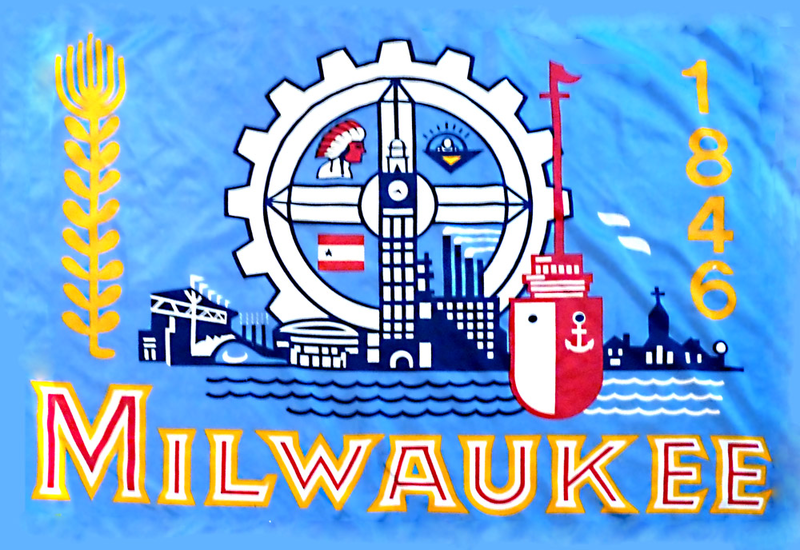 In the 1950s, Milwaukee leaders discovered that they were one of four cities with a population of over 500,000 without a flag. 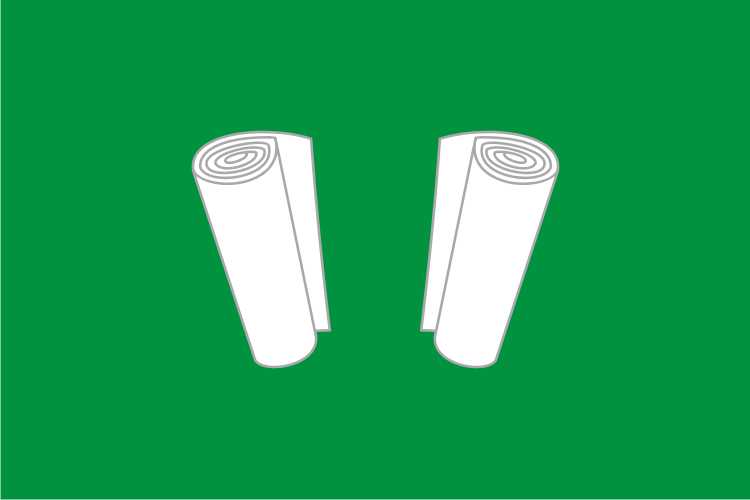 They immediately held a flag design contest and received a lot of entries. However, they couldn’t choose just one so they combined elements of some of the better designs. A lot of elements. It’s great when flags have a degree of abstract symbolism. But there are about a dozen or more literal symbols of the city’s history on this flag. From the same Oblast that brought us the ladder and the brick comes the scrolls! Actually they’re supposed to be rolls of cloth. I couldn’t find anything explaining any of the symbolism, so we’ll just say it’s the Russian capital of toga parties. 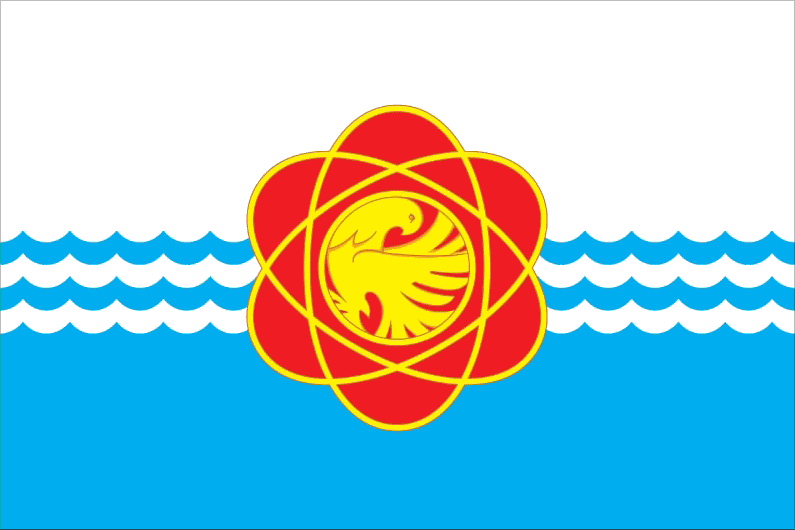 Desnogorsk is a settlement built around a Smolensk Nuclear Power Plant on the Desna River, so the electron orbits and the water imagery make sense. It’s just strange that they are so many Russian towns whose existence is centered on nuclear power. TIGER GUNS! 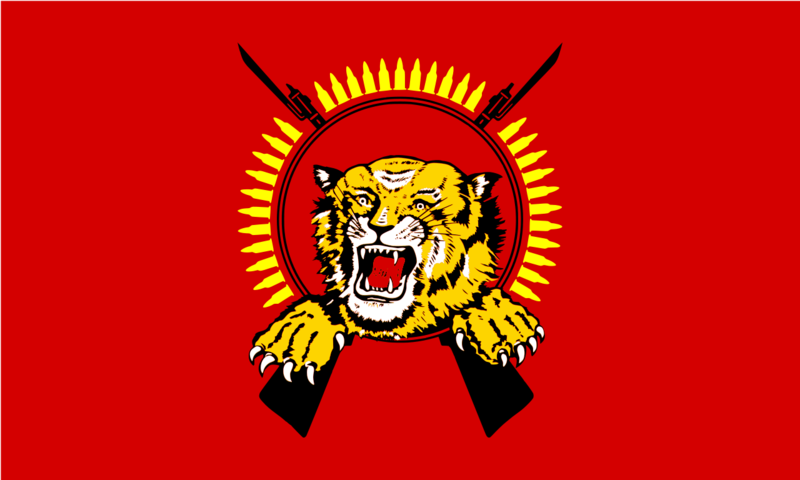 This flag is a the banner of a proposed state in Sri Lanka called Tamil Eelam. This flag does have a lot of important symbolism to the Tamils of Sri Lanka, much of which is way too deep for a post like this. But between the bullets, guns, and tigers, this design ends up looking like an Ed Hardy flag. Hehehehe… Balls. They’re supposed to be melons of some sort, representing the area’s agriculture. But… Balls. Want more weird flags? Check out Part 4!